At the meeting of the Euronest PA Committee on Political Affairs, Human Rights and Democracy held in Yerevan on March 16, Armenian Foreign Minister Edward Nalbandian said that at the moment Armenia has approached the final stage of discussions with its partners on the future legal basis of the Armenia-EU cooperation, based on the progress achieved in the previous period, the Armenian Foreign Ministry press office told EAD. 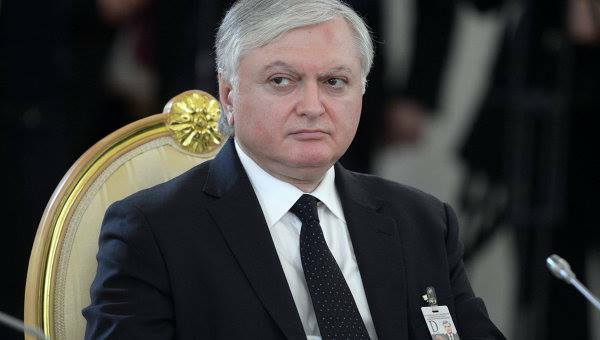 “Armenia stands ready to continue comprehensive cooperation with the European Union in all formats, in all possible areas and directions taking into account our obligations in other integration processes,” said Nalbandian. To recall, Armenia was planning to initial the EU-Armenia Association Agreement/Deep and Comprehensive Free Trade Area (AA/DCFTA) in Vilnius in Nov 2013. However, during his 3 Sept 2013 visit to Moscow, Armenian President Serzh Sargsyan announced Yerevan’s decision to join the Customs Union. Only Moldova and Georgia signed the AA/DCFTA at the Vilnius Summit in Nov 2013.